The heart of our practice is dedicated to constructing and managing investment portfolios on an open architecture platform. 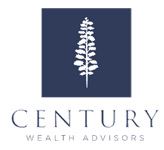 As the primary advantage of Century Wealth Advisors, our fiduciary investment management strategies incorporate analytical processes to fully understand client priorities. From identifying short and long-term objectives to assessing resources and your level of risk tolerance, we strive to first gain a deep appreciation for every aspect of your situation before offering our recommendations. As markets shift and your personal needs change, our customized strategies are built to evolve. We believe diversification alone will not protect a portfolio during periods of market stress. Our dynamic approach to asset allocation combines the best features of indexed investments, active managers, and value added strategies. Using value to determine the proper asset mix protects portfolios from dangerous investor behavior and positions the portfolio in a stance contrary to the masses. While value is a robust tool, it tells little about the next one to three years. Therefore, we combine a tactical component to capitalize on the shorter term opportunities. This smart diversification provides both protective measures while still focusing on enhancing legacies during periods of growth. We are not restricted to resources from one firm, but instead pursue optimal customized solutions to complement your portfolios’ ratios of investments to ensure your best interests are being put first. Come talk to us and learn how to INVEST TO PROSPER.